Our community is full of generous organizations that give away backpacks and other necessary supplies as back-to-school time approaches each summer. Here's a list of local opportunities to outfit your children for the fall and beyond. All of this information has been shared with me, but please contact the hosts to confirm dates, times, and locations, and for additional details. If you see any information that is incorrect, or if you know of another such program in the Madisonville, Kentucky area, please comment and I'll make necessary changes and additions. 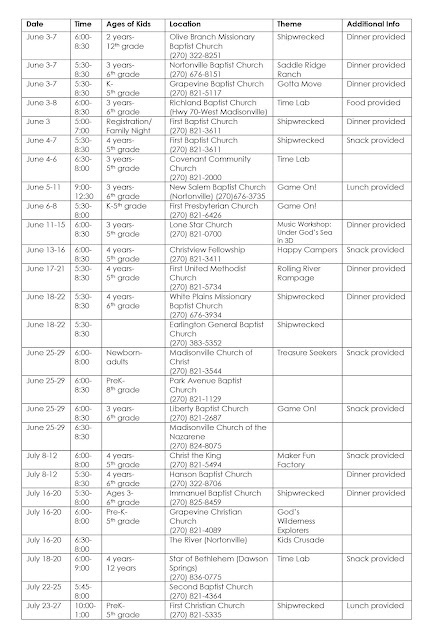 Many area churches are offering Vacation Bible School during the months of June and July. Here are the programs of which I'm currently aware, in calendar order. Please call the church directly if you have questions about a specific program. And if you know about another VBS in town, please comment with the information and I'll confirm it and add it to the list! I can't resist a good looking cut of beef on manager's special. So when I saw this one marked down, even though we already had dinner plans for the evening, I bought it. I tossed it into the slow cooker on low for 8 hours with a bag of frozen chopped onions, a can of diced tomatoes, some minced garlic and some salt. The house smelled great all day, and when I drained and shredded it, I had meat prepared for our next three dinners, plus leftovers! Add your favorite sides to each and you can do the same. Meat usually takes the longest to cook, so having it ready to heat and eat made these meals quick and delicious. My nearest general store is Family Dollar. It's only a few blocks away. And because everyday prices there are competitive to begin with, it's my go-to shop for household needs, cleaning supplies, personal hygiene items, and sometimes, a few groceries. When I first started shopping there, I appreciated how quickly I could get into and out of the place, compared to a big box store. I didn't feel like I was paying any more for convenience, either. Then I started seeing coupons on the bottom of their receipts; things like "$5 off $25 purchase." That's an automatic 20% savings, right there. So I kept going back. 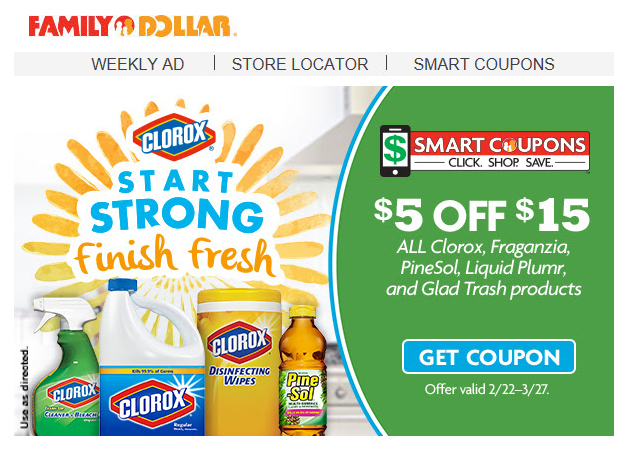 Now they've rolled out "Smart Coupons" and they're super easy to use. 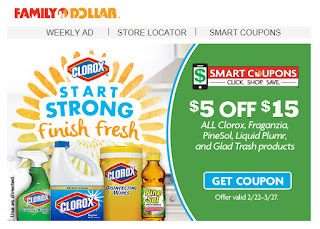 You simply register for an account on their website, and you can "clip" coupons from your phone, tablet, or computer. When you arrive at the checkout in store, you enter your phone number and all your digital savings are applied automatically. I "clipped" the coupon on the website, and now all I have to do in the store is select at least $15 worth of the products listed, and when I reach the checkout, enter my phone number. And I'll save 33% on products I would be purchasing anyway. Easy. Offers like this are regularly available; sometimes they're for specific products or brands, and sometimes they're general. Last week, there was a $5 off a $25 purchase, a $15 off a $60 purchase, and a $30 off $100 purchase. Although there are exclusions, and you must read the fine print carefully, these are great savings you can use on everyday items, gifts, and more. If you're going to be buying these things anyway, why not save some money on them, right? 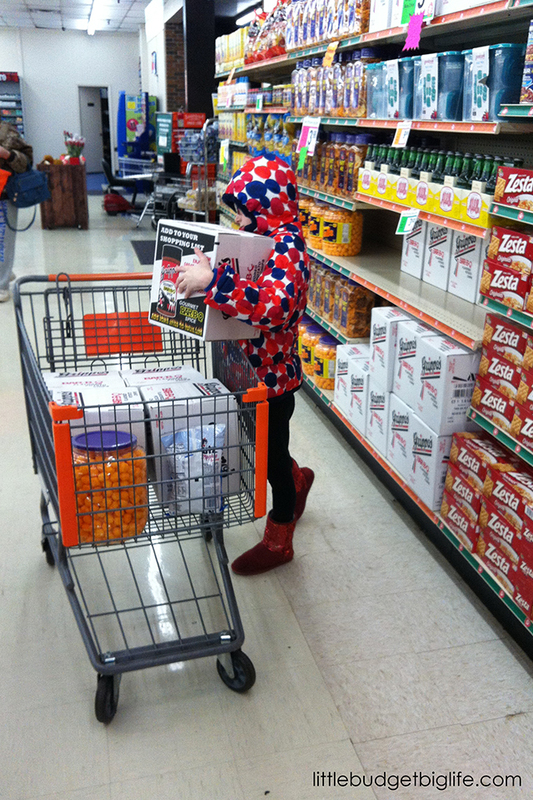 Where do you shop for household needs, cleaning supplies, and personal hygiene items for your home and family? 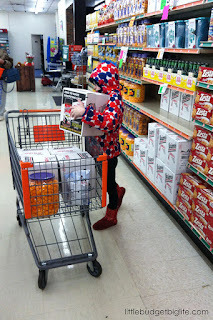 A couple of weeks ago, I was reading about a kiddo who was struggling with some major health concerns. In that moment I was reminded of how much I appreciated Pip's pediatrician, who helped me find the answers I was searching for when I knew my child was ill. This morning I am feeling especially thankful for our pediatrician, [I included her name and practice]. She listened to me and my concerns about P's health when we were brand new patients. After two others asked me to "wait and see," she's the doc who pursued testing, found the markers for P's celiac disease, and referred us to a pediatric GI for diagnosis. She never seems to be in a hurry, and I mean that in a good way. She hears everything I am compelled to tell her when we're in her office. She's calm when I am worried. I am so grateful she is here. It took a couple of minutes to type, but the post got quite a few responses; all were positive. My comments seemed to encourage others to share their good experiences, too (in this case, appreciation for this particular doc). This got me thinking... every November, as we approach Thanksgiving, I see and hear people sharing things they're thankful for, and it's inspiring. I realized how much more pleasant daily life (and social media) could be--for me, anyway--if it were peppered with more "hey, check out this good thing!" I mean, who doesn't like to hear about good things? So the next week, I posted a quick "Thanks, fellas!" directed at a local automotive parts store. Again, people chimed in about how great the shop was and how helpful the employees were. Happy. Uplifting. This is fun. I encourage you to give it a shot. There are many ways to go about it, and none of them have to take much time or be a chore; choose the one that fits your lifestyle. Or try out a combination of them. Whether you post about your thankfulness on social media, or hand write a thank you note, or type an email, or send a text, or say so face to face or on the phone, please take a few minutes this week to share your gratitude. And maybe do the same the next week. And the next. See if it doesn't give you a little boost to let people know that their efforts don't go unnoticed. We moved into our new home in December. Although I had every intention of streamlining our belongings before the move, we got involved in repairs and painting and cleaning and holidays and travel, and that decluttering just didn't happen. We packed up and relocated everything to the new house, and every bit of it was unpacked alongside the items that we use and cherish. Now, it's February, and although the house feels more like home every day, there is still clutter lurking in most corners. I am not talking about trash here; I define clutter as anything that we don't use or love. And there's plenty of that in dresser drawers and on toy shelves and mixed into our school books and (perhaps in the greatest quantities) in totes in the basement. I'm beyond ready to move it out so that we can enjoy the things we DO use and love, without having to wade through all these other items to find them. 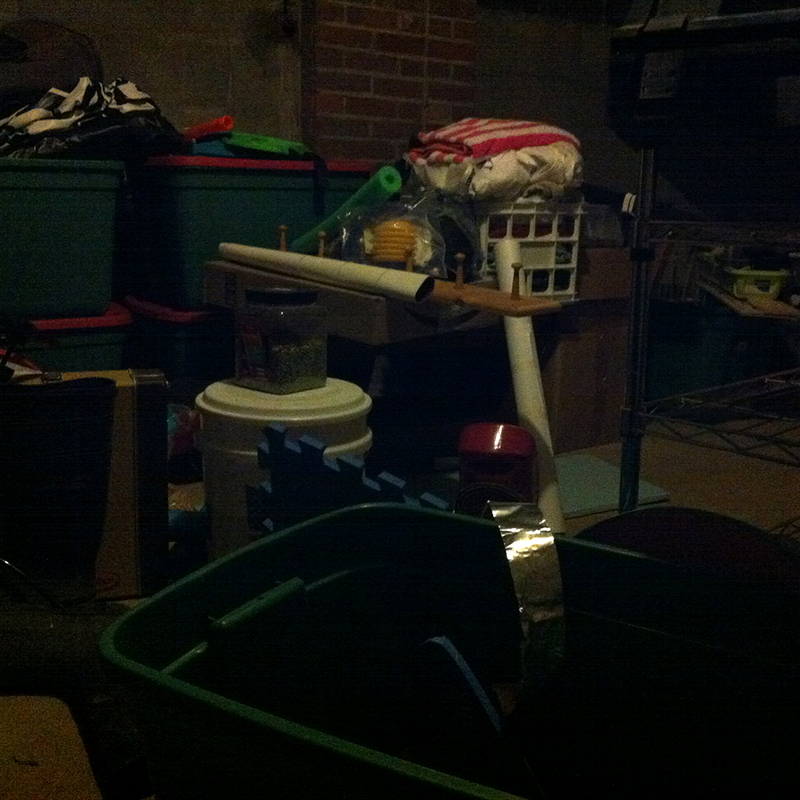 One of the most overwhelming areas: a corner of the basement. Sob. So... There's no time like Lent, right? Many Christians of various denominations observe Lent--those weeks between Ash Wednesday and Easter Sunday--by giving up something as a reminder to pray; popular choices among my friends in recent years seem to include alcohol, social media, and chocolate. This year, I am giving up clutter. And regardless of your belief system, I invite you to join me. Some of this "clutter" will go straight into the trash, and some will be recycled. But most items--those in good condition--will be shared with friends who would like them or taken to charitable organizations in my community. Which means that while I'm moving something out of my life, and giving myself a little more breathing room, I'm moving it into someone else's. Someone who, I hope, will enjoy it. During the sorting process, I will also be tidying up what's staying, so not only will there be more space, but what remains will be neater, too. The 2018 Lenten season begins on Wednesday, February 14. I challenge you--as I am challenging myself--to clear some of the clutter from your home. My goal is at least one item per day between now and Easter. My ideal is more like one bag or box full of items per day, but I recognize that that won't be doable every day, and I want to succeed. This will give me 40+ (emphasis on the +) items to share (or recycle or throw out) in the 40 days between Ash Wednesday and Easter. I can work through many areas during these coming weeks, and since I'm committed to it for a while, there's no need to try to do it all in a day. I'll spend just a few minutes a day on this project. I probably won't finish my task of streamlining my home, but it will give me a great start. I'd love for you to join me and use this time to simplify your surroundings while blessing others along the way. Today I used technology that has been around for a while, but I had never tried. 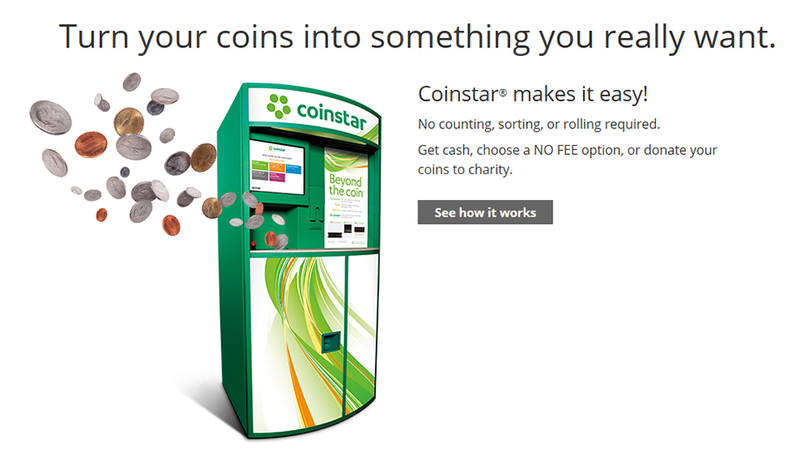 Today I dumped a bag of change into the Coinstar machine at the grocery store. We don't have a central coin collecting spot at home, so Pip and I gathered up change from the car, from around the house, and from my wallet. We didn't count it; we just dropped it all into a bag that would seal and took it with us when it was time to run errands. Step by step directions on the machine walked me through the process. I opted to receive an eGift certificate and avoid the 11.9% fee of claiming my money in bills. A half-full sandwich bag of coins that weren't going to be easily used otherwise turned into nearly $12 in Amazon credit in about 2 minutes. Which I can easily spend in 2 minutes. Boy, was that simple. And that bag was worth more than I estimated, which was fun. We usually spend our coins when paying with cash; I know not everyone does, so you may come out much further ahead than I did. If you have a change jar--or have loose change jingling around in different places in your house or car--and a Coinstar nearby, this might be a fun little rainy day activity for you! Several months ago I was made aware of the website MissingMoney.com. It is a database of unclaimed property records. According to the website, common types of unclaimed property include bank accounts and safe deposit box contents; stocks, mutual funds, bonds, and dividends; uncashed checks and wages; insurance policies, CD's, trust funds; and utility deposits and escrow accounts. I shared it on social media, because I was so fascinated with the idea. I have since had several friends claim records that belonged to them. They simply had to verify their information, and the money came to them from the various state treasuries where it was sitting. I check my name periodically, because the information is updated regularly. I have yet to find any records in my name in any of the states in which we've lived, but I think that's because I've always been careful to redeem all discounts and reclaim any deposits that were mine. 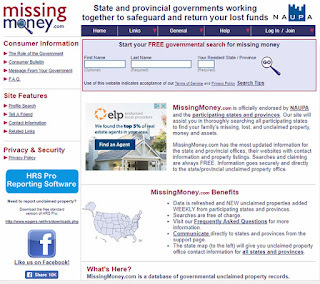 Not every state currently participates, but every state should have an "unclaimed property" database; if a place where you live or have lived is not linked to this site, you can search for your state's name and "unclaimed property" and it shouldn't be difficult to find. I encourage you to check your name in any state where you have lived, and see if you might have a little surprise bonus sitting in a treasury, waiting for you. Let me know in the comments if you find anything! Any time I see a prepared veggie tray marked down to half price at the grocery--the kind that's all veggies, because we don't use the dip anyway--I buy it. Nearly 2 1/2 pounds of fresh produce are washed and ready to eat (or cook) and delivered to my fridge for under $5. I picked one up this week. Pip ate the peppers, and I enjoyed the snap peas. The tomatoes went into salads. 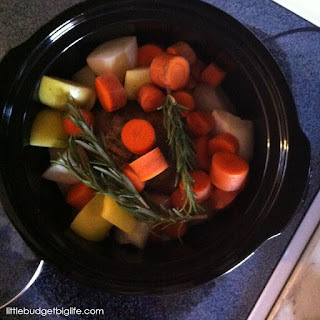 I cooked the broccoli as a side for one meal and I tossed the carrots into the slow cooker with another meal. And then there was celery. 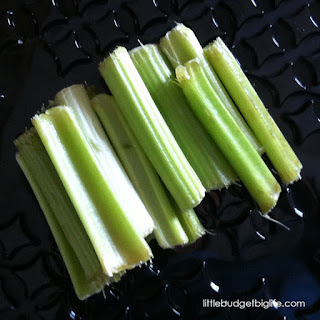 Sometimes Pip likes to snack on raw celery, but this wasn't one of those weeks. Chris and I usually don't choose it, either. Rather than watch it wilt in my fridge, though, I went ahead and chopped it up. I put it into an zip top bag and tossed it into the freezer. And now it's prepped and ready for the next time I make soup. I won't even thaw it out; I'll just throw it right in. 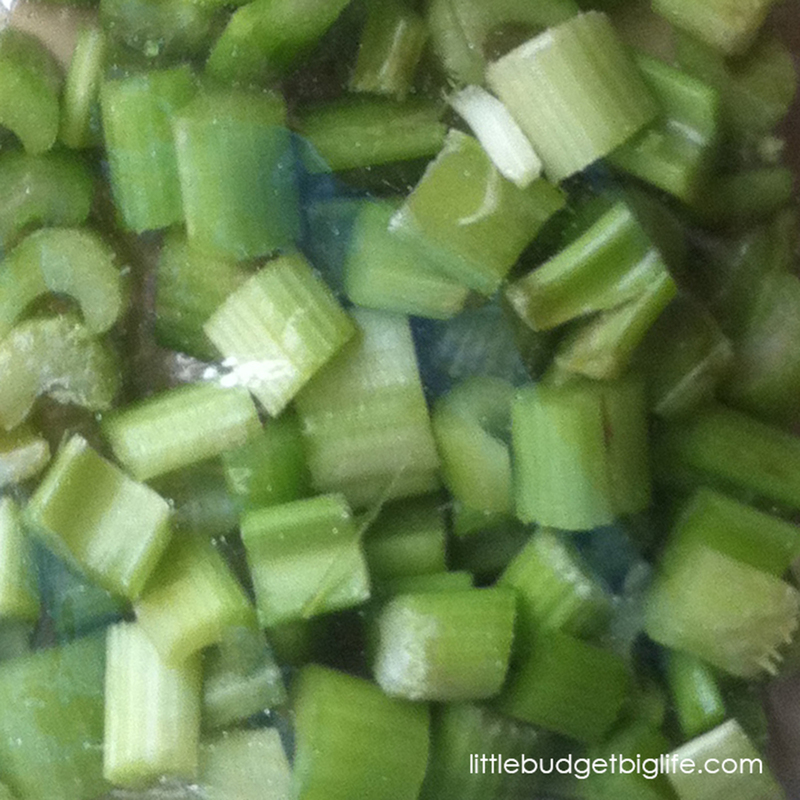 Ready ingredients can make meal preparation easier and less daunting. 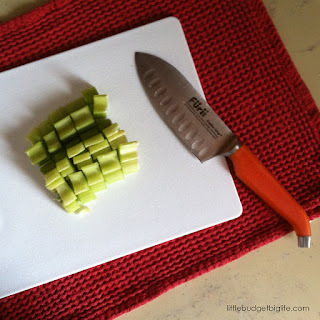 What items do you like to prep in advance? 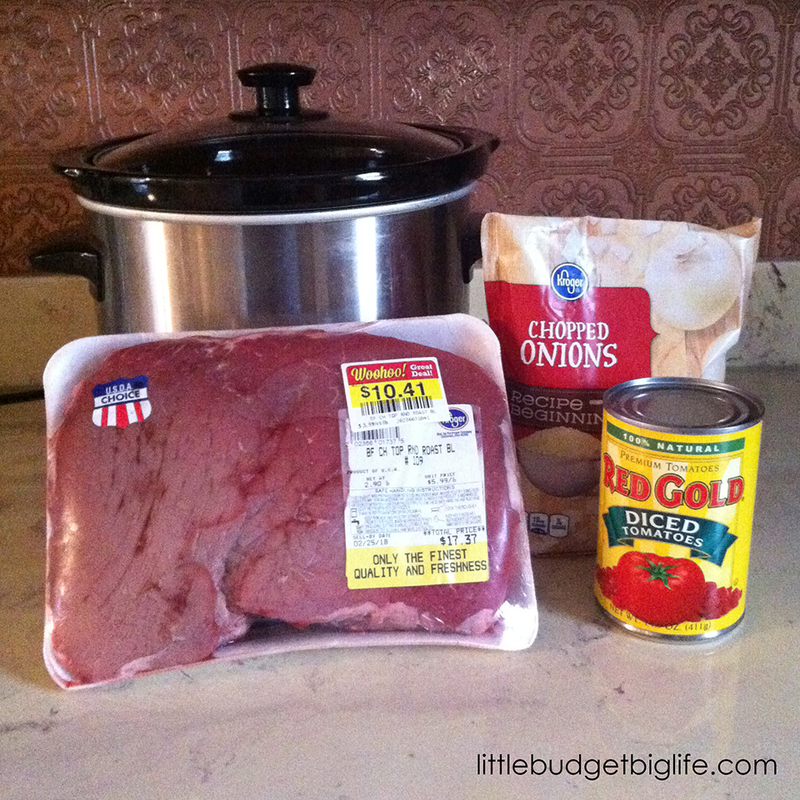 I had the opportunity to step into a Price Less Foods for the first time this week (this one was in Owensboro, Ky). I had heard about their pricing concept, and wanted to see it for myself. I'm glad I took the time to check it out! - The store was clean and well-lit. - The workers were friendly. - The everyday prices were good, and the sale prices were better. To take it a step further, beyond advertised sales, we snagged some premium orange juice on manager's special for 1/3 of its "regular" store price. Based on what I saw in that short visit, I will be going back. I want more time to explore. But I can safely say that Chris and Pip were big fans from the moment we entered the first aisle and found huge packages of some of their favorite specialty snacks for not much more than an average bag of chips. Do you have Price Less Foods in your area? What are your favorite things to save on there? 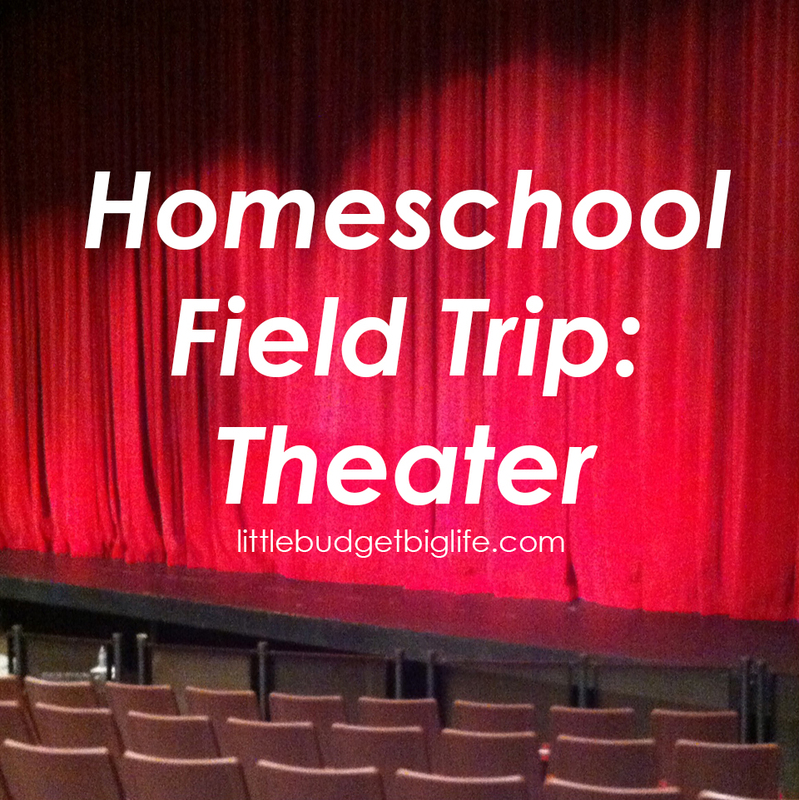 When planning your homeschool field trips, don't overlook opportunities to take your children to the theater! Arts experiences can get pricey, though, so I always start with school day performances when selecting these outings. - School day performances often cost a fraction of evening admission. At around $6 per ticket in our area, it's one of the cheapest ways to see live theater. They also tend to be a length appropriate for their intended audience. - Shows are often chosen for their educational merit. We've seen everything from adaptations of children's books to legends to historical figures and events brought to life on the stage. Oftentimes the host venue or the performing group will share a guide in advance that includes readings and activities to do before and after seeing the show to tie it into various areas of study. - It's fun! One of my favorite things about being in school was taking field trips. Although Pip's homeschool experience is radically different from my public school one, I still make a big deal about "field trips" like these and she gets really excited about them (and I do, too). If you're in western Kentucky, the Glema Mahr Center for the Arts in Madisonville and RiverPark Center in Owensboro both offer stellar school day line-ups year after year. If you're not in this area, I urge you to look for your nearest performing arts center and take advantage of any school day events they have. 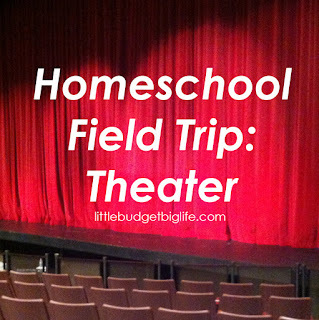 I'd like to hear about some of your favorite homeschool field trips! 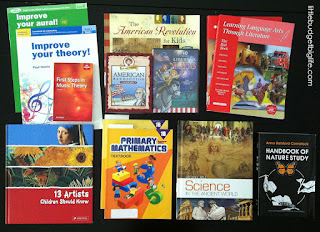 When I shared my plans for Pip's second grade year, I noted that I would re-evaluate as we went. 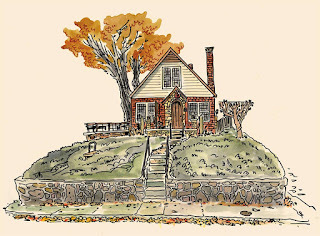 Now that the holiday season--and the purchase and preparation of a house, a move, illness, etc--is behind us and we're finding our daily groove again, I'd like to share what I've found and what changes we've made. And here's what was working and what was not. - What we study in music is directed by her music teacher; in addition to daily practice, we also enjoy the weekly podcast Classics For Kids and listen to plenty of classical music because we like it. 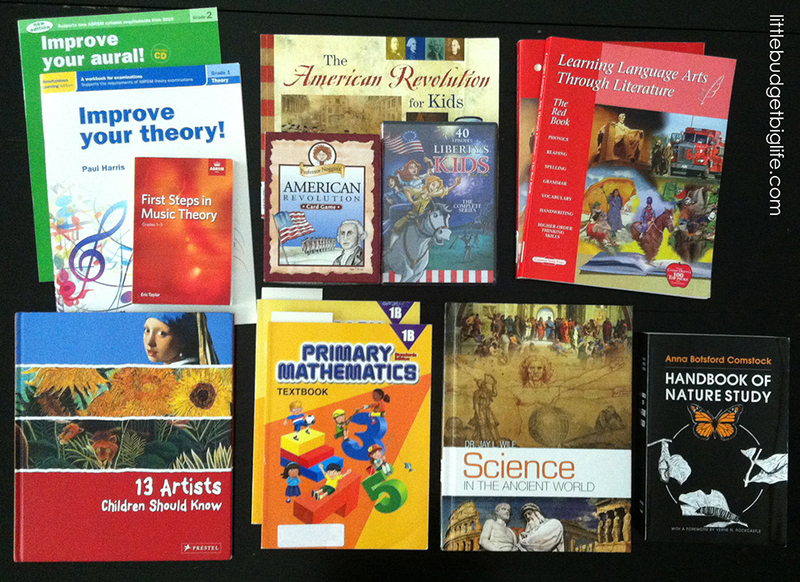 - We took a light approach to American history for the first half of the year, mainly reading about specific events and people as we found books that interested us (from Nathan Hale's Hazardous Tales: One Dead Spy by Nathan Hale to I am Sacajawea by Brad Meltzer illustrated by Christopher Eliopoulus), but in the second semester we're diving straight into the Liberty's Kids DVDs and the materials that accompany them. - I supplement Learning Language Arts Through Literature with loads of independent reading, because that's one of her favorite things to do. She reads everything from picture books to middle readers. And we're reading Anne of Green Gables by LM Montgomery together right now. - Our art study is all over the place. Pip's class at co-op covers one artist and his/her style per week, and we create something nearly every day at home. We make a point to visit art museums at least twice per semester. - Singapore Math is serving us well. I intend for her to complete Primary Mathematics books 2A and 2B this semester. - Science didn't go as I expected. I knew even when I borrowed that book that Pip might be young for it. I found us really floundering about mid-semester, and then a friend recommended the Sonlight Science B book she was enjoying with her son. I looked at it, and the topics it covered--animals, astronomy, and physics--and figured it would capture Pip's attention and mine. 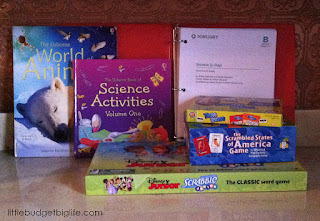 It utilizes many books from Usborne, of which I'm already a huge fan, as well as a treasure trove of online resources, all collected in one place. I initially balked at the cost, but I found that I could order the "Extra Activity Pages" for under $20 and then borrow the necessary books from the library or from friends, or find them at the (brick and mortar or online) used bookstore as I needed them. In conjunction with trips to the zoo and the science center, this book is coming to life. This was a good change. - Although we're already a family that likes games, we've added more into our weekly rotation. Scrabble, The Scrambled States of America, and Time Bingo are three that Pip is really enjoying right now. Being flexible and able to change course when needed is one of my favorite things about homeschooling. Do you have any tips for keeping your homeschool engaging? Minimal prep. Few dishes to clean up. Lovely aroma to enjoy all day. Dinner prepared in the morning, when I've got the energy, and ready in the evening, when that energy is dwindling. What's not to love about a slow cooker? This started as a gamble--one of those "throw in whatever you've got" situations--and it turned into one of Chris's favorite meals. Pip liked the veggies, and I enjoyed it all. But really, I'm hard pressed to think of something that doesn't taste good when it's been roasting slowly all day. I put everything into the cooker in that order. I turned it on high for 7 hours (longer than probably necessary, but starting with frozen meat I wasn't sure). At dinnertime, I plated everything but the meat, tossed it into a skillet for a few minutes to crisp it a bit, and then scooped it on top of the veggies. I added a little salt and served with green beans.